The Xtra Factor presenter is hoping to crack the stateside market after a British invasion from the likes of One Direction, The Wanted and Adele. But he told The Daily Star: "Whatever happens with this US adventure, I'm never going to be disappointed. Of course I want success in America, but I love being the underdog. "Troublemaker [Olly's single] has sold 100,000 already and is No 34 in the US iTunes chart. In the UK those sales would get you a No 1 record. "But you can't put yourself up against One Direction or Adele and say, 'I want that.' I'm realistic that it'll take time." 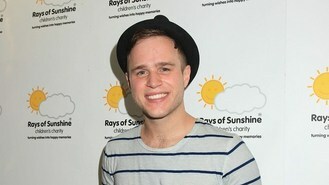 Olly will also make an appearance in the US TV show 90210, which is set to air in April. "In 90210 I'm playing myself in a scene performing for a girl who likes me," he revealed.